The tennis, as it has been lately for Nick Kyrgios, was encouraging this weekend—a 6-1, 6-2, 6-4 rout of Rogerio Dutra Silva in the first round of the Australian Open—but of course it’s never only about the tennis when it comes to Nick. REPORTER: You’re friends with the American football player Colin Kaepernick and have been supportive of him in the past. What are your thoughts on his not being signed by an American football team this season? KYRGIOS: I don’t think I’ve ever spoken a word to him in my life. REPORTER: Well what are your thoughts about that? 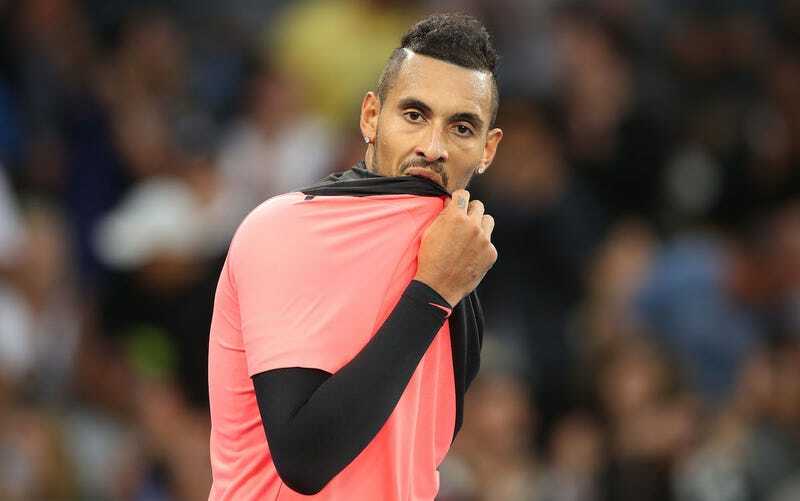 KYRGIOS: I mean, I don’t even—where does that question even come from? We’re at the Australian Open, man. Are we done?